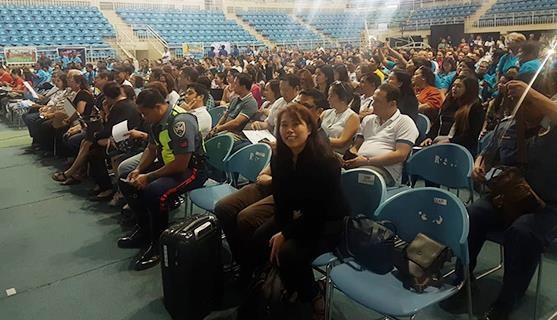 The Puerto Princesa City Government, headed by the City Tourism Office and City Tourism Council, successfully held the 2019 Puerto Princesa Tourism Stakeholders Forum on February 1, 2019 at the City Coliseum in Puerto Princesa City. As part of the city government's efforts to strengthen accountable and transparent local governance in tourism, the forum gathered 400 local industry tourism stakeholders comprising of representatives from hotels, resorts, restaurants, transportation providers, tour operators, travel agencies, boat operators, souvenir shops and community-based tourism sites. During the forum, City Tourism Officer Aileen Amurao shared the progress of the implementation of the city's Tourism Development Plan (TDP), which was formulated with the technical assistance of USAID’s Strengthening Urban Resilience for Growth with Equity (SURGE) Project in 2017. Among the significant developments presented were the development of more community-based sustainable tourism sites (CBSTs), including infrastructure support and capability training for CBST operators, setting up a heritage tour package, additional international air linkages, and enactment of a local ordinance on accreditation of tour operators. 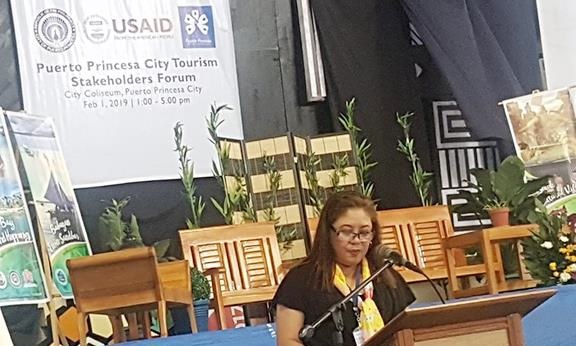 Ms. Amurao also reported on maximizing engagement with various stakeholders through the tourism inter-agency coordination mechanism initiated by the city government and the Department of Tourism (DOT) with the support of USAID/SURGE in 2018. The stakeholders raised various concerns such as the proliferation of unlicensed tour operators, transport providers, and undocumented foreign tour guides, and the need for an aggressive marketing and promotion campaign to attract more foreign tourists. These issues will be discussed more thoroughly during the inter-agency coordination meeting scheduled in March. USAID/SURGE continues to support the city in enhancing its tourism governance along with improved destination management and stronger public-private partnership as pillars of the city's tourism development plan.